Gin has always been my family drink, as soon as summer comes a knocking Dad would start cutting up the lemons. Which is why I was intrigued when a colleague mentioned the City of London Distillery, a distillery and gin bar just off Fleet Street. From the very first sip of their gin and tonic I was hooked, and I’ve been back three times within a week. As well as having over 170 different types of gin from around the world they (as the name suggests) distill their very own in limited edition, 200 bottle, batches. It is like nothing I have ever tasted before, naturally sweet and with lovely citrus notes. There was only one thing for it really, time for a gin tasting. First step is to numb the alcohol receptors in the mouth, so take a sip of pure City of London Distillery gin and swirl it round (this is the only time you can use alcohol to numb the senses and it is considered a good thing). Once your receptors are all happy and numb you will be able to truly taste the botanicals in the next sip. And boy can you taste them, if you focus you might be able to pick out notes of juniper, lemon, pink grapefruit, orange, coriander seeds, angelica root and licorice. If straight gin is not your poison, the cocktail list is pages long. 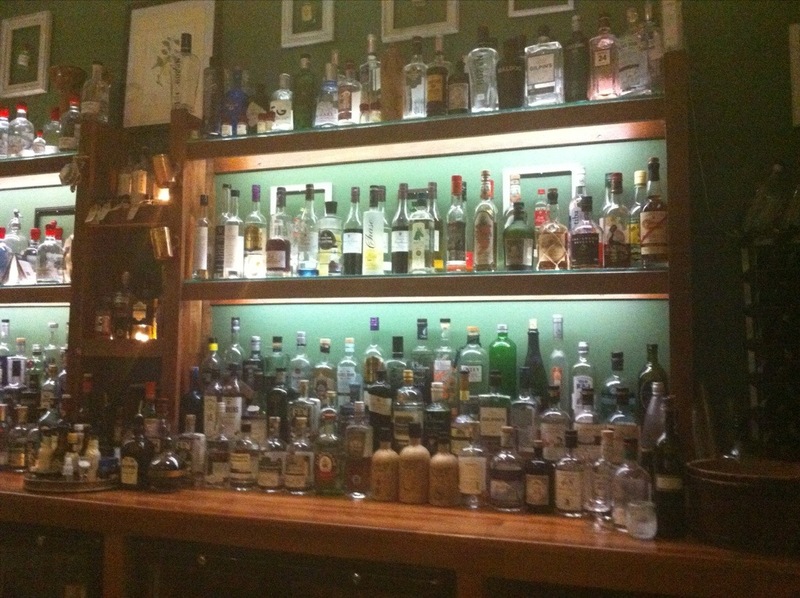 Or there is an even better way for the indecisive to pick a drink, ask the bartender. The team behind the bar have been expertly trained by the London Bar Consultants and can essentially create the cocktail of your dreams. Given that the 170 gins come in floral, herby, citrus, spicy, strong, woody and navy strength – the expert guidance was much appreciated! Before my Mum starts worrying about my gin consumption, it was invented by the Dutch as a medicine – to cured the plague (turns out rats don’t like the smell of juniper, and sick people really like alcohol). So technically I am just being really healthy. I honestly can’t recommend this bar enough. Go, drink gin and try and impress with misremembered Casablanca quotes. Top tip: the staff are unbelievably eager to share their knowledge, if you have a moment go and ask for a tasting and learn the globe-trotting history of this family drink. Oh and if you head down in a couple of weeks they are going to be serving food – each dish designed around the botanical notes in the gin…amazeballz. Just came home and poured a (huuuge) glass of (just bought) gin, opened up my computer to find this open tab from reading this morning. Clearly some not so subliminal influence happening!